Ready to put your negotiation skills to the test? 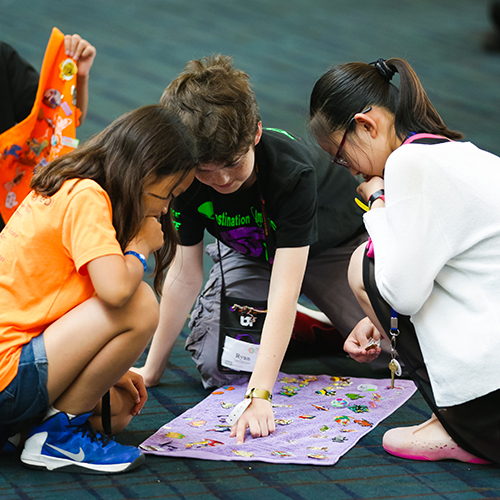 Pin trading is one of the most popular activities at Global Finals. This year, a brand new pin trading space will be available within the Municipal Arena Lower Ex Hall. You will have the opportunity to trade pins with peers from around the world who are also attending Global Finals. It is a great way to spark conversation and meet fellow DI-ers from different states, provinces and countries. Be prepared to make friends in addition to trading pins! Your Affiliate Director will be able to help you order pins and determine the appropriate quantity. Note: If your team will be flying to Global Finals, make sure your team members pack their trading pins in their checked luggage. If not, they may be taken by security at the security checkpoint.